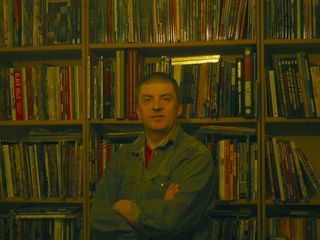 Right, here's the final pic from the emerald isle: Pádraig standing infront of just part of his massive graphic novel collection. 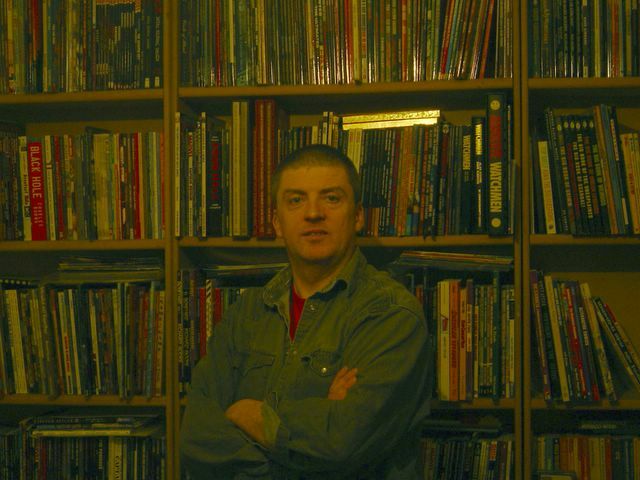 Also, we forgot to mention the two trades and couple of issues of Freak Show that we picked up from Rob Curley while we were there. Good stuff. That's the end (phew, only took one week to post it all! ).